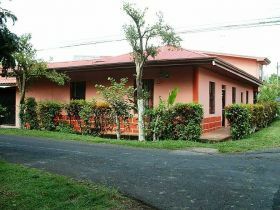 Being in the province of Heredia, it enjoys a pleasant climate all year round of 17 to 24°C, which is also ideal for coffee growing, which you will find all around. 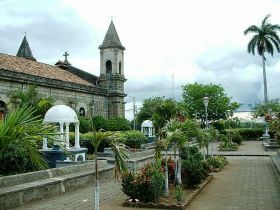 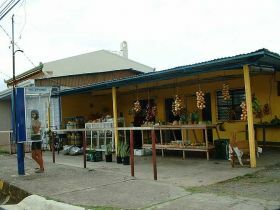 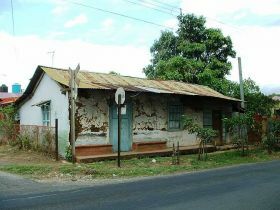 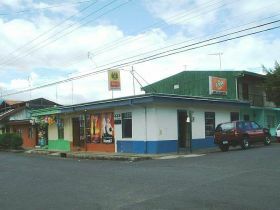 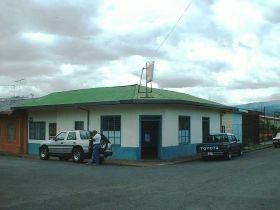 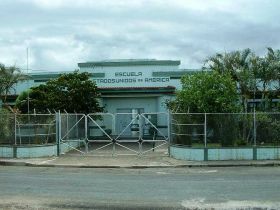 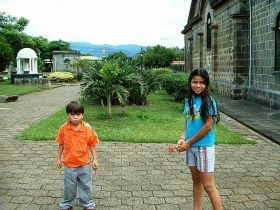 San Joaquin is located in the Flores county, the smallest of Costa Rica with only 7 km. 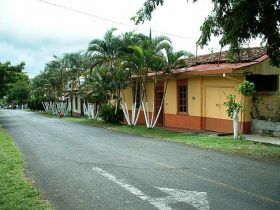 Being in the province of Heredia, it enjoys a pleasant climate all year round of 17 to 24°C, which is also ideal for coffee growing. 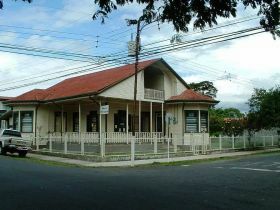 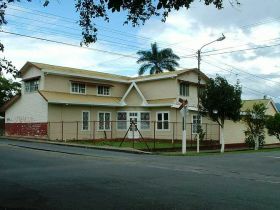 There are beautiful 19th century houses at the Calle Real, the main colonial street. 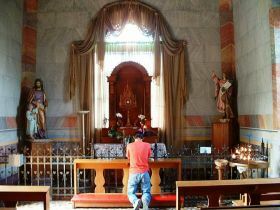 San Joaquin is a very religious community, and at the center of their faith is the impressive centennial church built from 1865 to 1888. 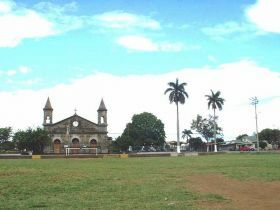 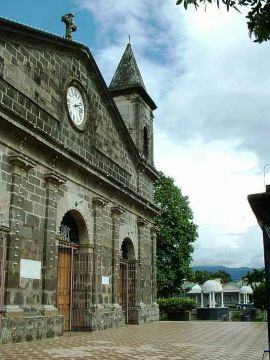 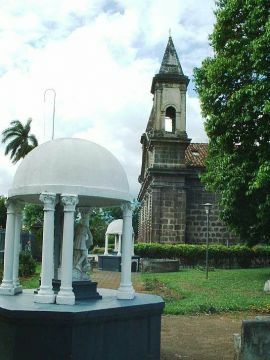 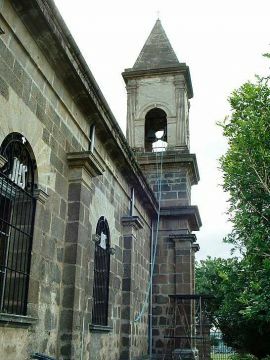 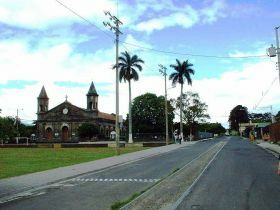 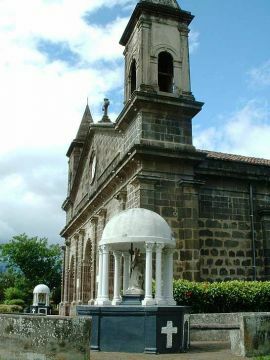 Due to the beauty of its architecture and decoration, the church has been declared as an architectural and historical heritage of Costa Rica. 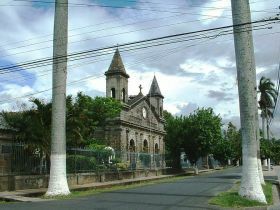 All the stones were brought in oxcarts all the way from Cartago. 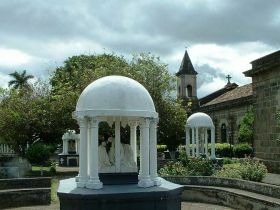 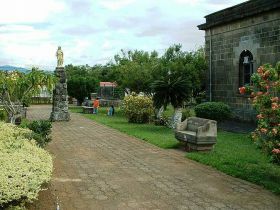 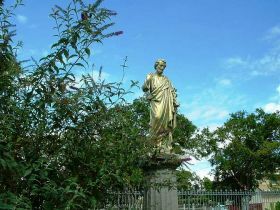 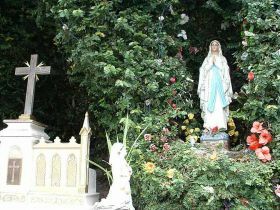 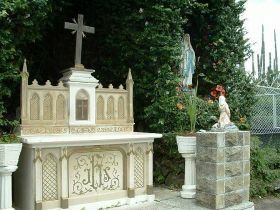 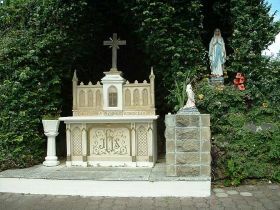 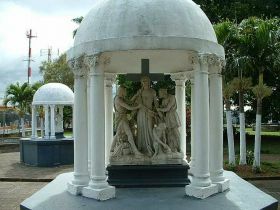 Fourteen Italian sculptures of the 'Via Crucis', donated by the families of the town at the time of construction, decorate the beautiful gardens that surround the church.